Tout seule. Solo-traveling ETs are challenged to get into the picture. 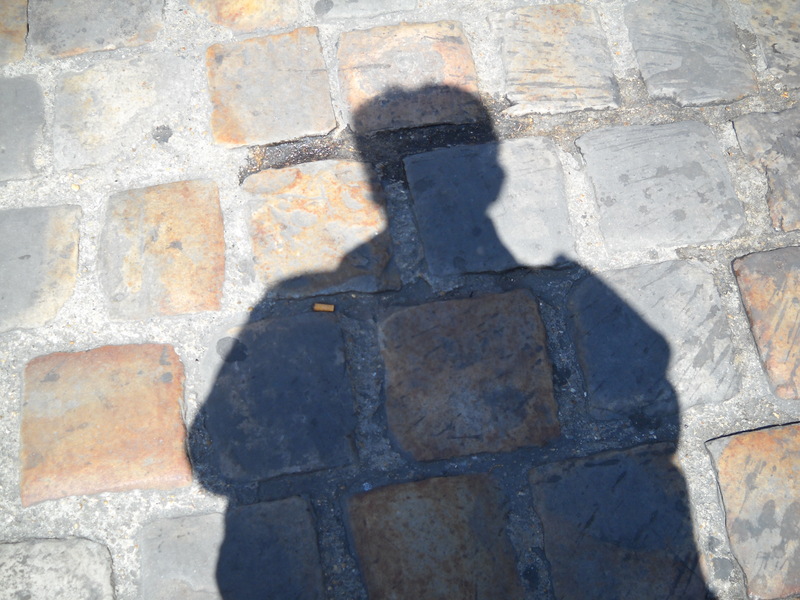 Occasionally, ETs make solo trips to Paris under the guise of attending a conference. I did this two years ago and despite Nurse’s suspicions, the conference was real and I actually did attend. 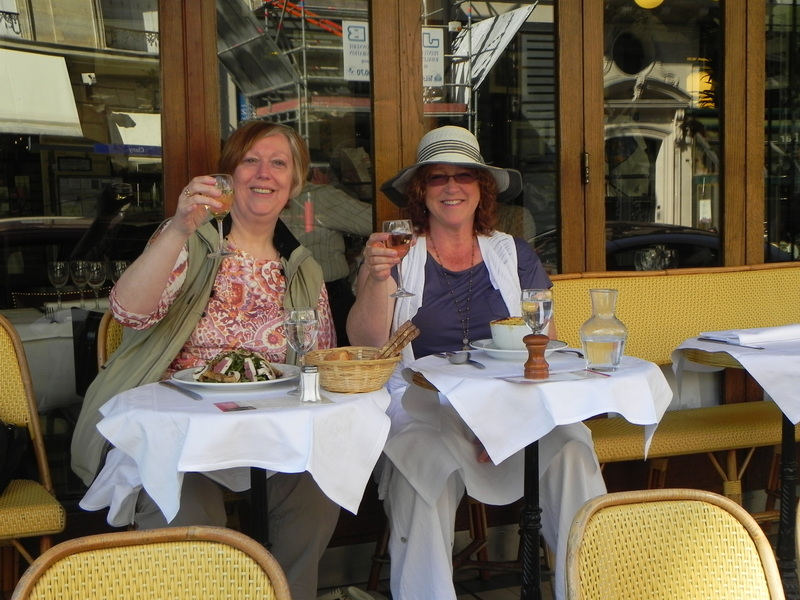 I dutifully reported in on a regular basis so she could advise on itinerary and meals. Nurse was a very good sport about this trip. And trust me, she has cashed in on her generosity ever since. 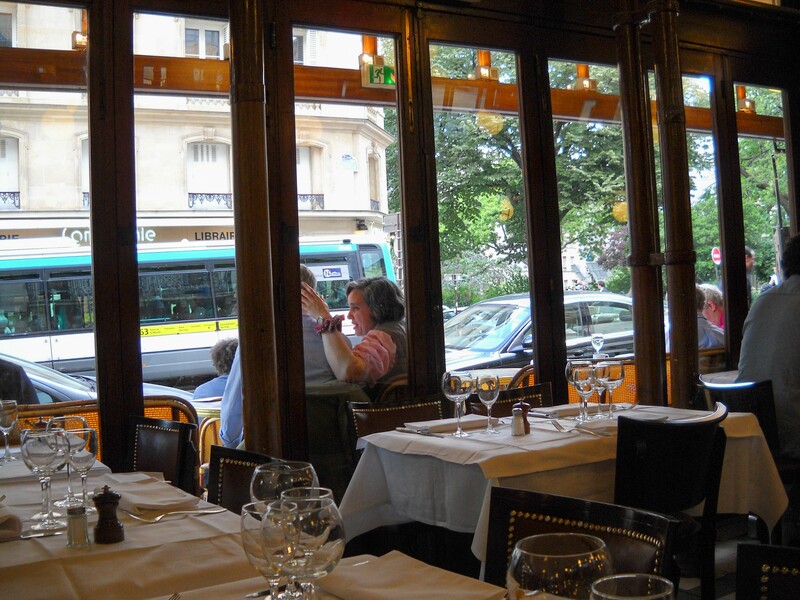 The Legendary Brasserie Balzar just happened to be nearby…. 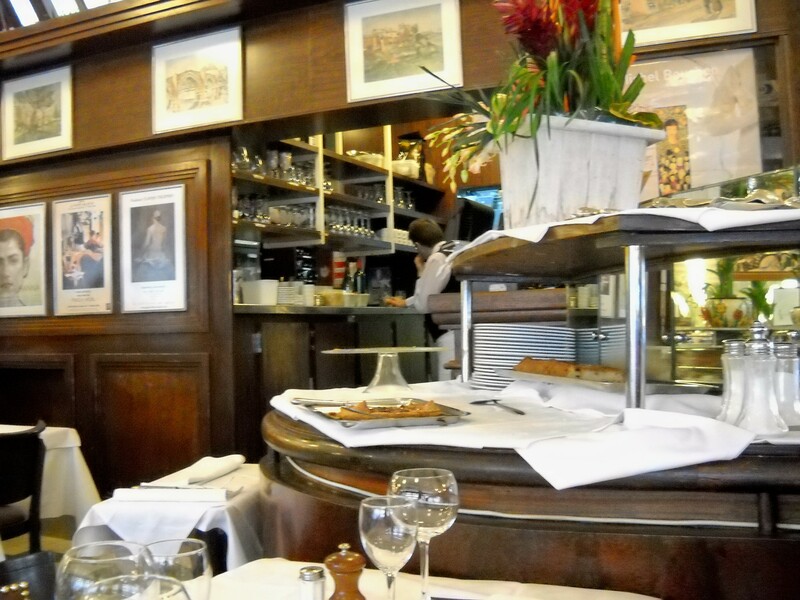 I did some early ET research at the Brasserie Balzar on the Rue des Ecoles near the Sorbonne. 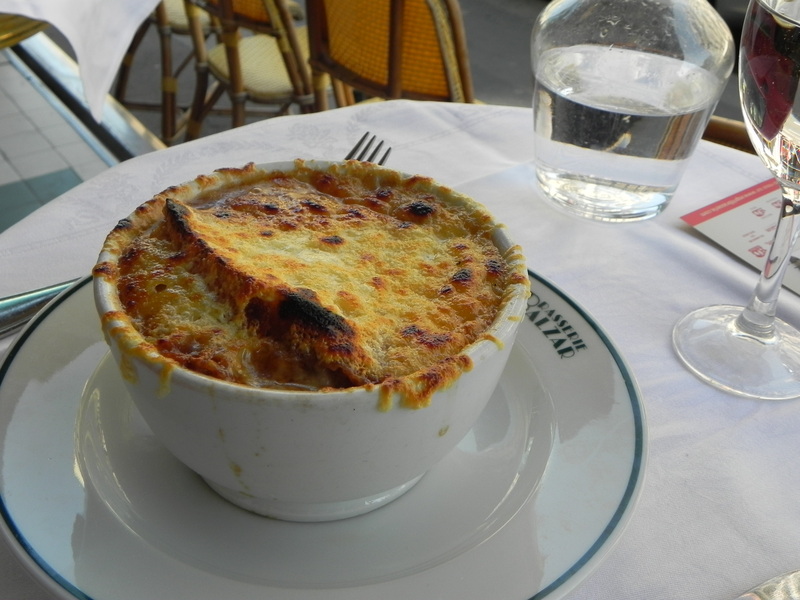 Since 1886, this Paris institution has sustained neighborhood academics with mainstay dishes like steak au poivre, poulet roti, and potatoes dauphinois. 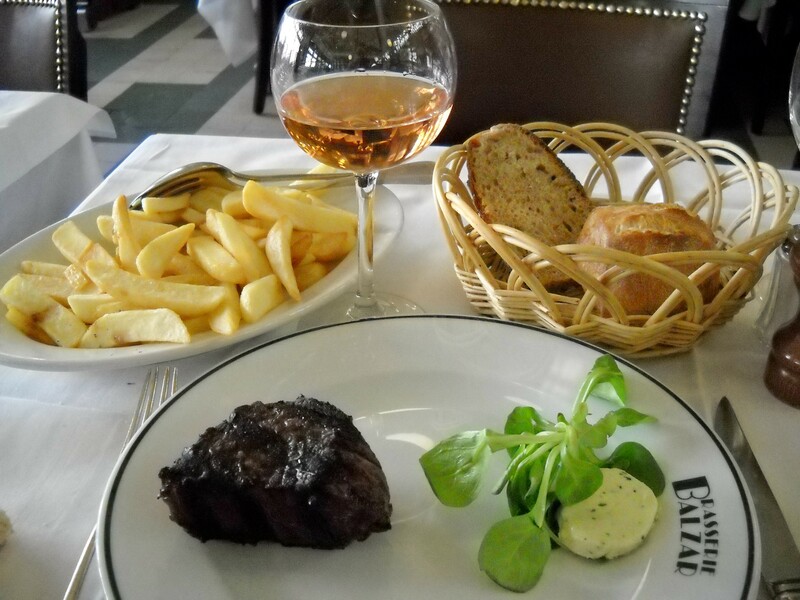 Leagues of devoted locals swear that the Balzar alone embodies the true egalitarian spirit of dining that forms the foundation of the modern French state. People are very, very serious about Brasserie Balzar. 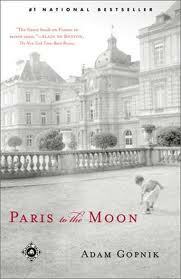 I was inspired by Adam Gopnik’s “The Balzar Wars” in his book Paris to the Moon*. 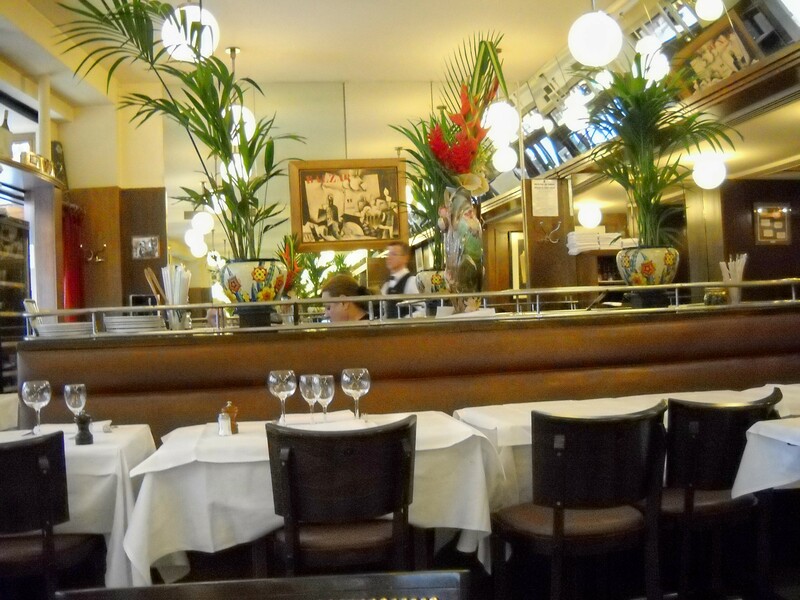 In the mid-1990s, the mega-corporation Flo Group bought the Brasserie Balzar. 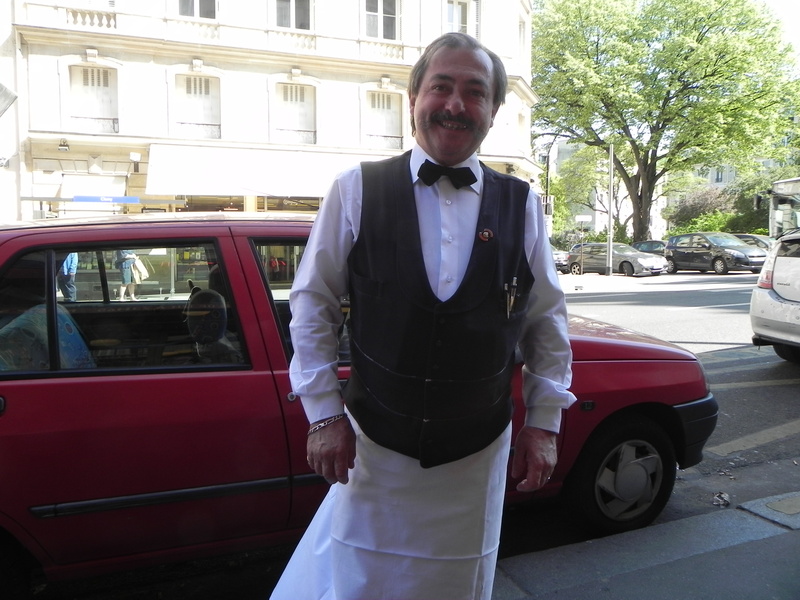 In true French style, the brasserie’s habitués organized a secret résistance to preserve their beloved Balzar from corporate evils like brief 90-minute meals and prepared food. Drawing on the revolutionary fervor of their ancestors, they won the day and the Balzar continues. I recalled this inspiring story as I wandered the Maubert neighborhood, thinking of a lovely, perfect steak. By mysterious coincidence, I found myself on Rue des Ecoles. It all looked so inviting, even though it was late afternoon when jetlagged Americans get hungry. 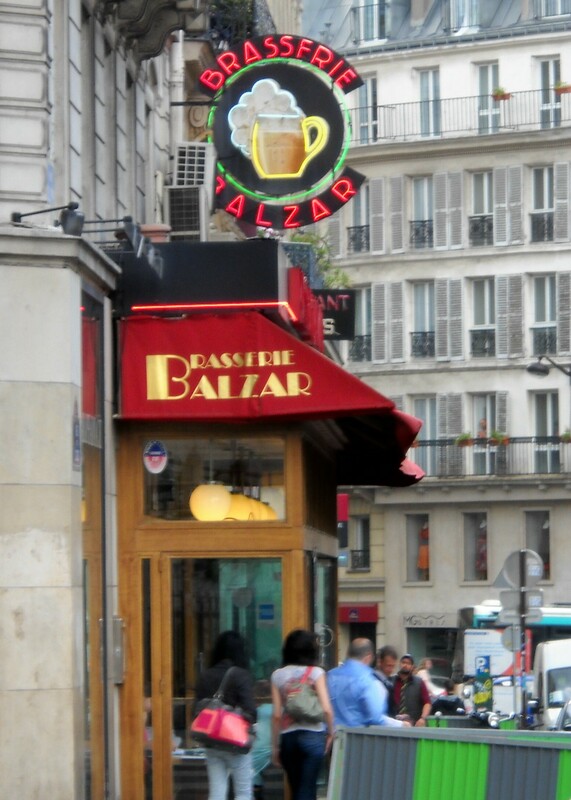 Fortunately the Balzar serves all day, because it was an off-hour when I arrived. 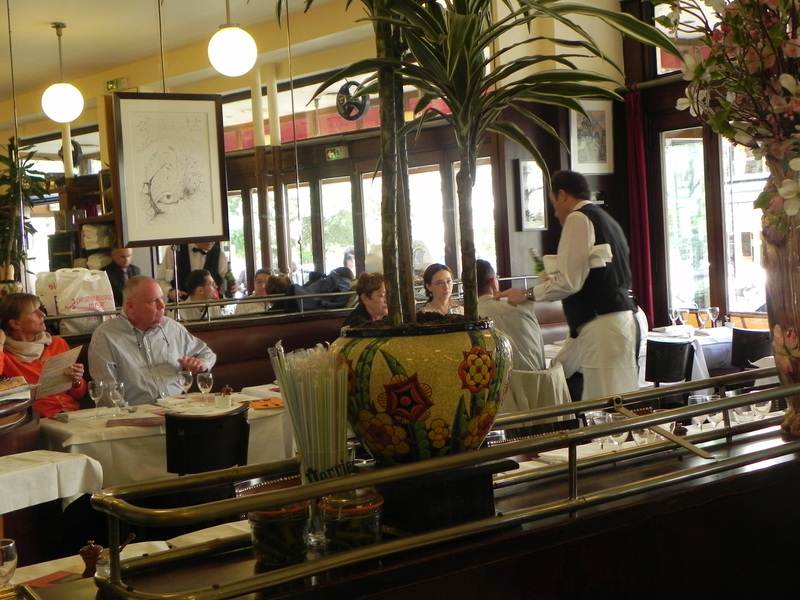 The ambiance was unassuming and comfortable with the requisite banquettes, mirrors, potted palms and desert trolleys. In true ET fashion, I relied on a glass of house wine to bring clarity to the menu. I ordered the steak-frites. It was passable, but not memorable. The presentation was uninspired and the service was just adequate. I was devastated. 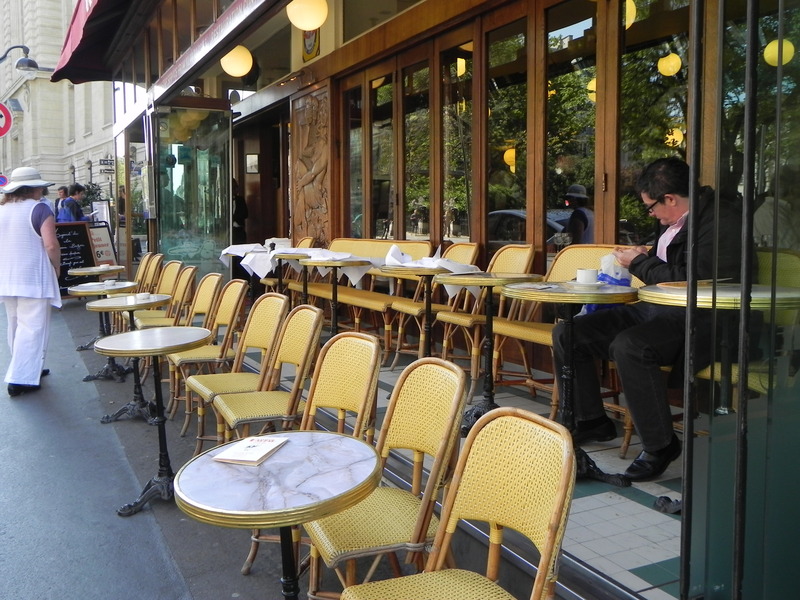 Why didn’t I experience the magic of the Balzar that captivated generations of Parisians, and made its regulars call to arms to protect its traditions? Is the Balzar fairy dust kept at this waiters workstation? The ET wants some! For two years, I’ve analyzed everything about my Balzar experience. Where did I go wrong? I want the joy and the contentment; the thoughtful service and excellent traditional cuisine; the feeling that I am part of an historically significant experience. 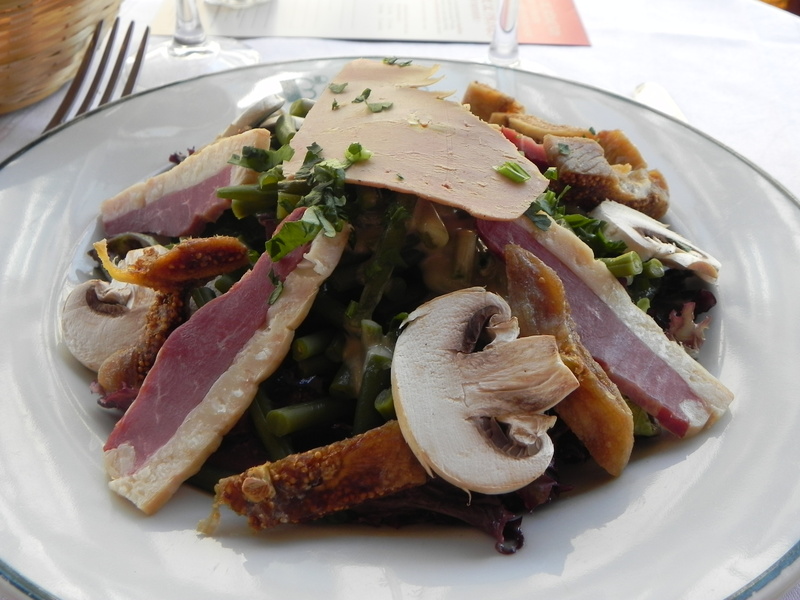 I want to be willing to take to the streets in defense of Brasserie Balzar! Dear Readership, there just one solution to my dilemma. The ETs must return to the Balzar. I did get one of my favourite pictures at Balzar. The ETs *will* return. * Gopnick, Adam. Paris To The Moon. Random House, 2000.